Parnassus Books is pleased to offer autographed and/or personalized books by #1 New York Times bestselling author Victoria (V.E.) Schwab! Please read the important ordering instructions before placing your order. Be sure to write SIGNED COPY in the comments section of your order as you check out, or your order may be filled with an unsigned book. If you would like Victoria to personalize your book, please include how you would like her to do so in the comments section as well, otherwise we will not know to ask Victoria to personalize your book and will fill your order with a signed copy. The comments are delivered to us exactly as you enter them, so it is helpful if you write in full sentences (i.e. "I would like Victoria to personalize the book to Susan Smith"). 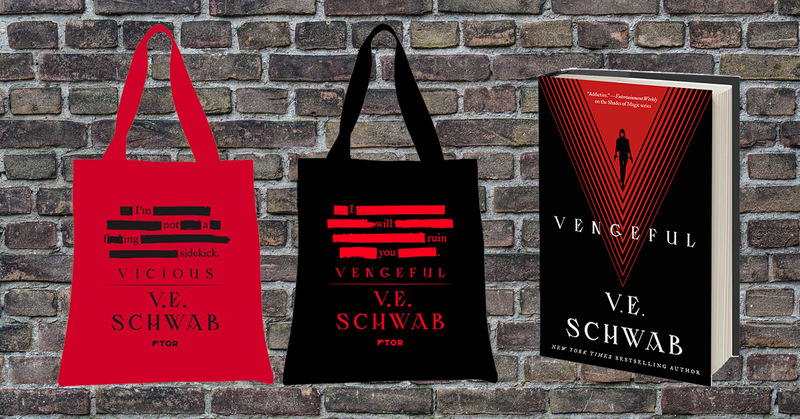 A limited number of tote bags are available with the purchase of Vengeful; however, the tote bag can only be included with orders shipped via priority shipping. If you select media rate shipping, we will not be able to include the tote bag with your order, per U.S. Postal Service shipping guidelines. Be sure to select priority as your shipping method if you wish to receive the tote bag. There are two tote styles available, however, we cannot guarantee which style you will receive. Please note: All signed copies are subject to availability. If we have run out of signed copies of a particular title, we may ask you if you would like to wait until Victoria returns to Nashville to sign more books before fulfilling your order. There is no extra cost for holding your book until it can be signed. If you would like to order a personalized book, we will fill these orders when Victoria returns to Nashville. Thank you for your patience and understanding!